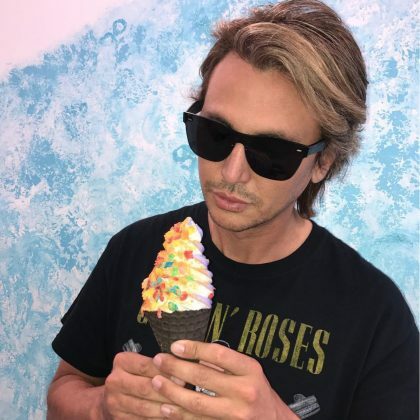 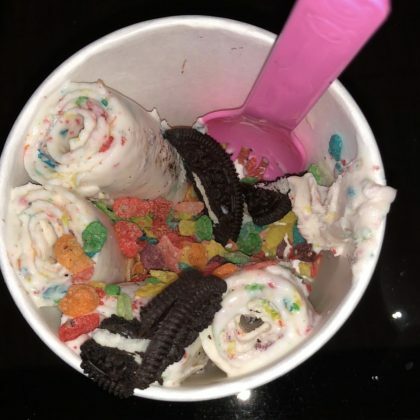 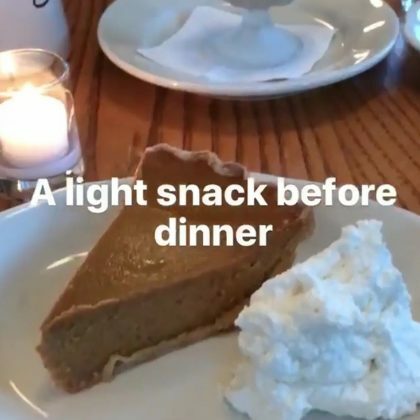 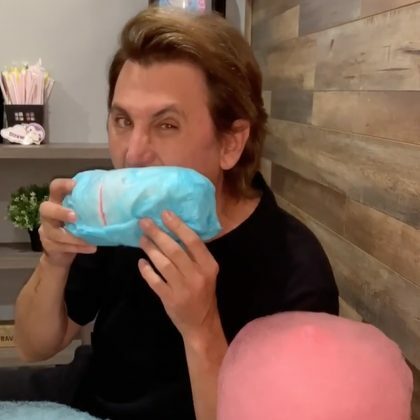 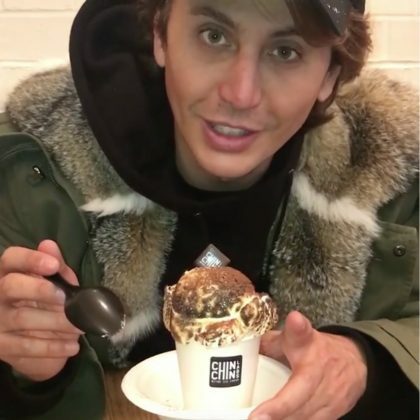 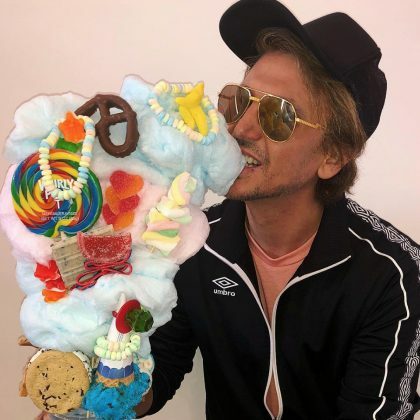 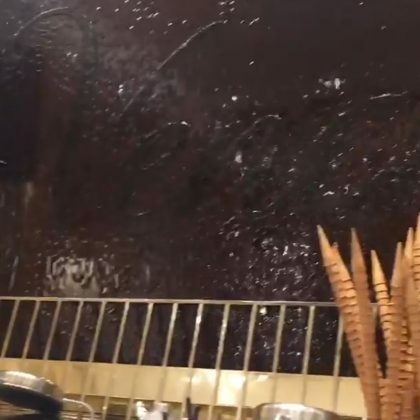 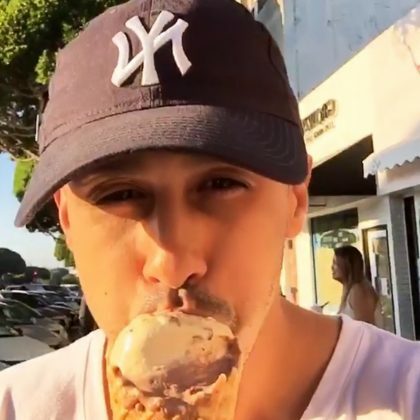 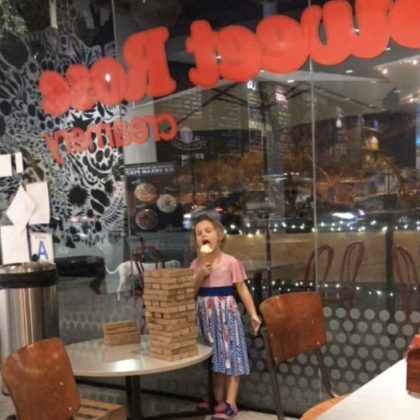 “Justin Bieber doesn’t know how to eat a sideways burrito like the FOODGOD” is what Jonathan Cheban joked when he ate a sweet treat sideways at Las Vegas, NV, USA’s Creamberry in October 2018. 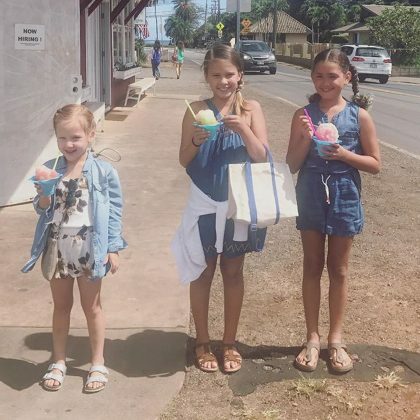 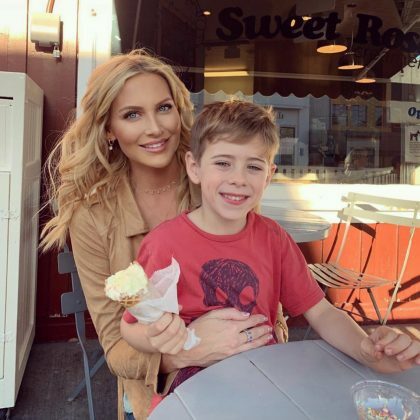 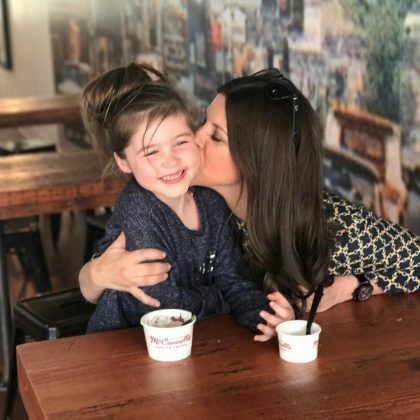 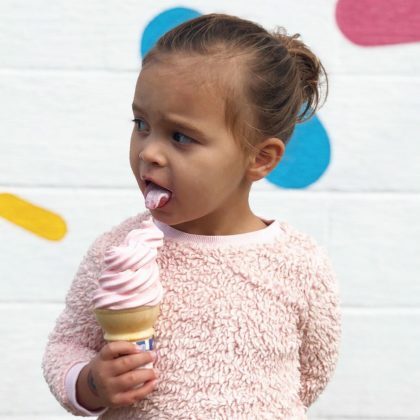 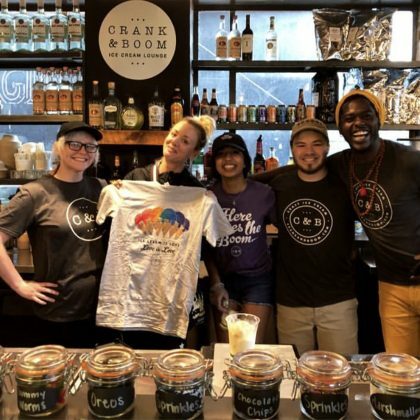 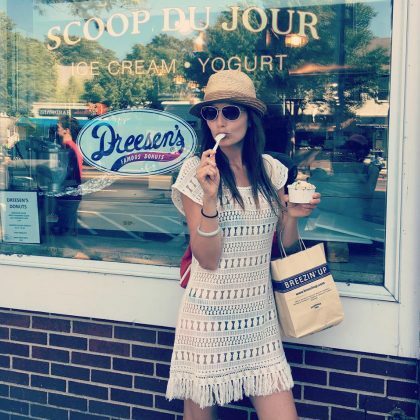 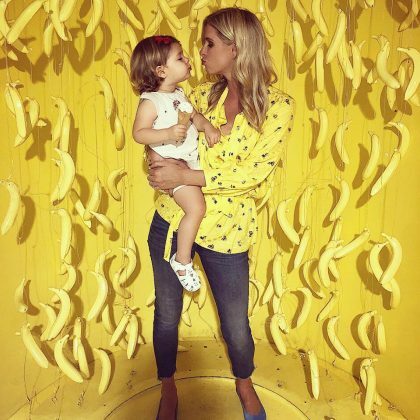 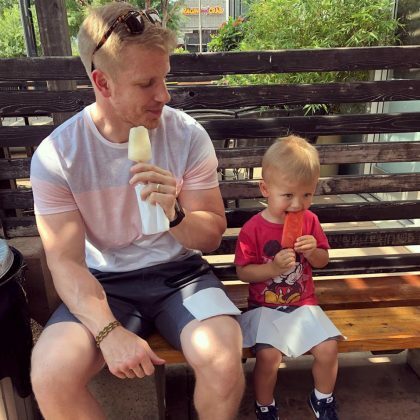 “Will pose perfectly for rainbow sprinkled ice cream” is what Nicky Hilton said about her daughter when they went to New York City, NY, USA’s The Pint Shop in July 2018. 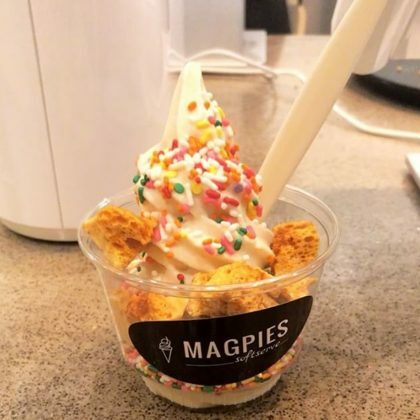 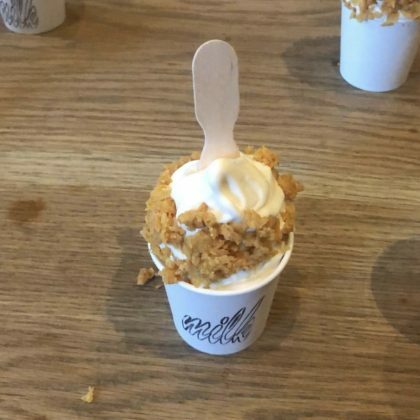 “YEP” is what Janel Parrish said about her cup of cereal milk soft serve with cornflakes at Milk Bar, Toronto in July 2018. 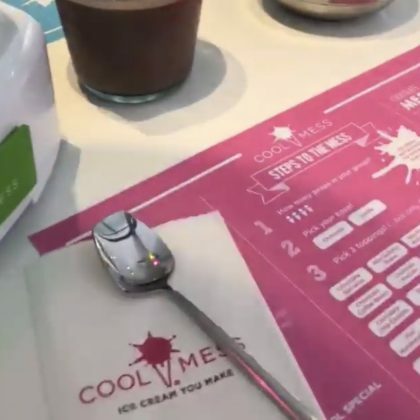 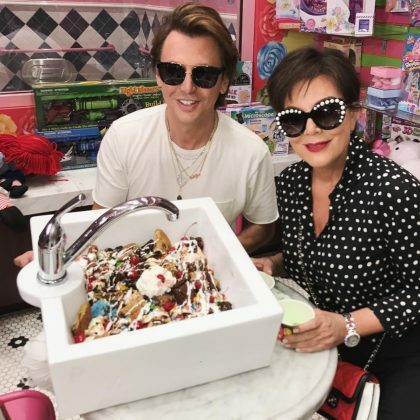 Kim Kardashian helped North West celebrate her fifth birthday in June 2018 by making chocolate and vanilla ice cream at New York City, NY, USA’s CoolMess. 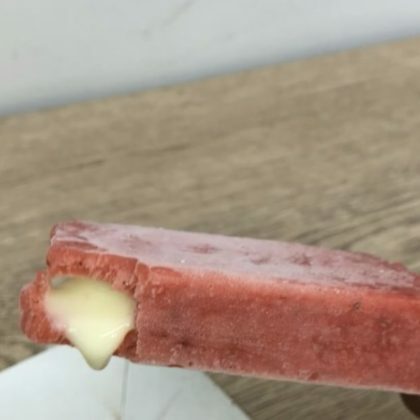 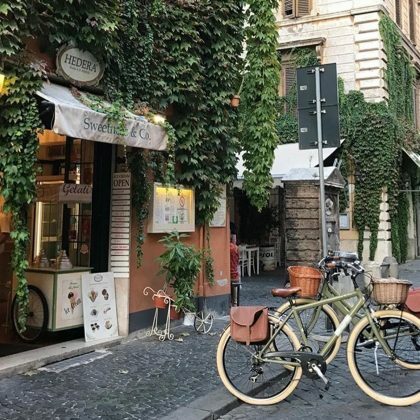 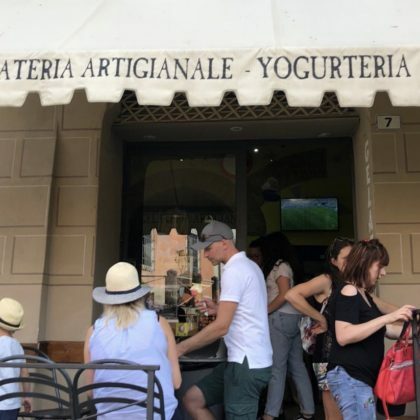 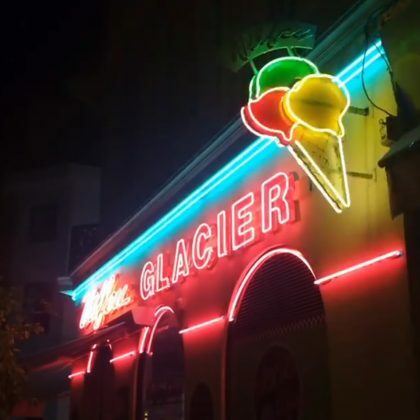 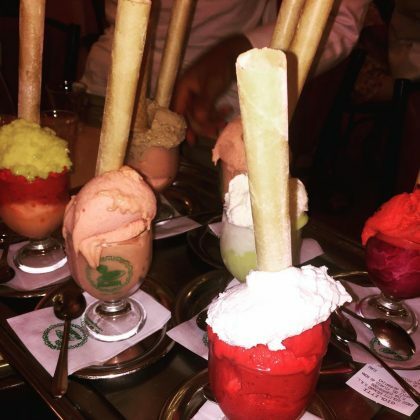 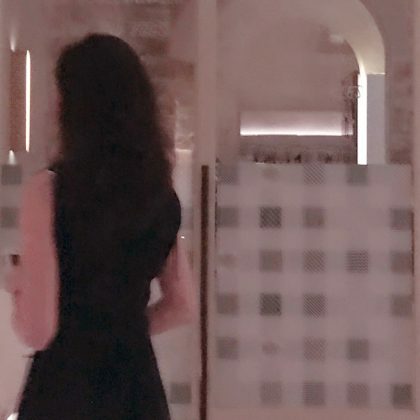 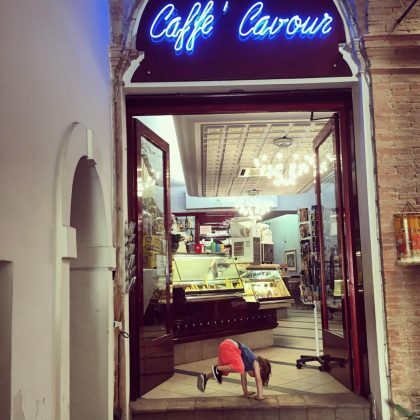 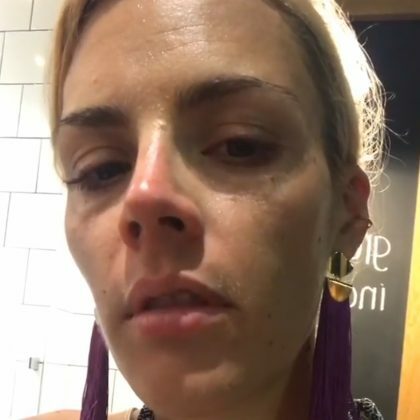 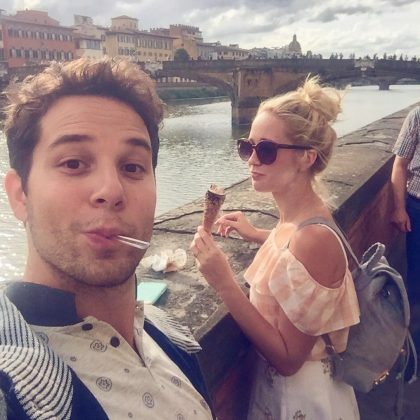 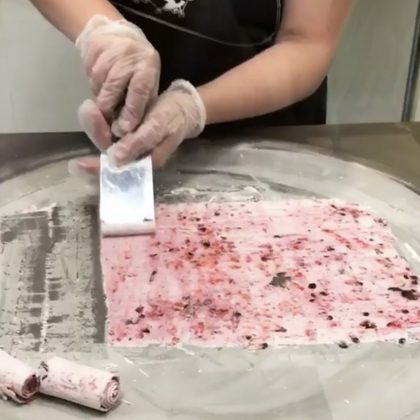 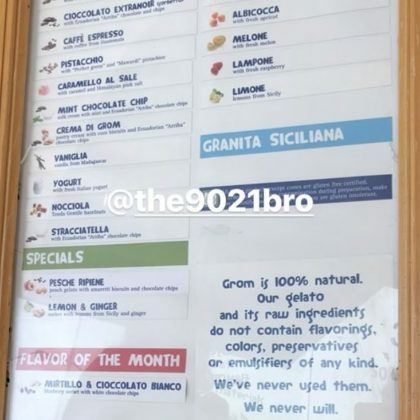 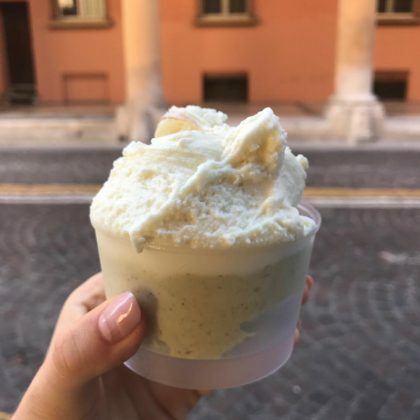 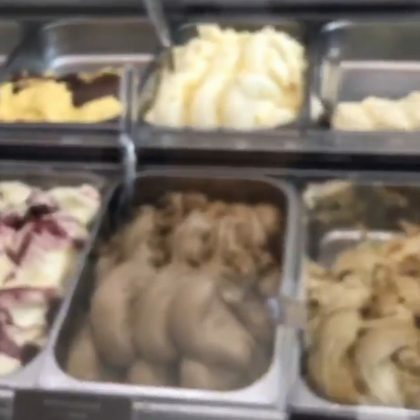 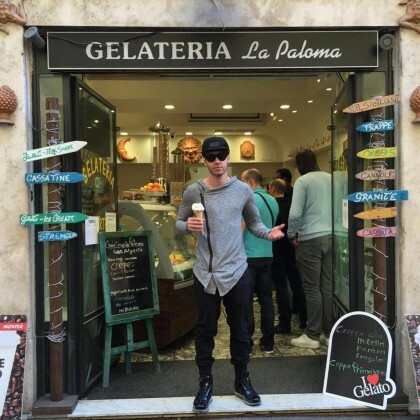 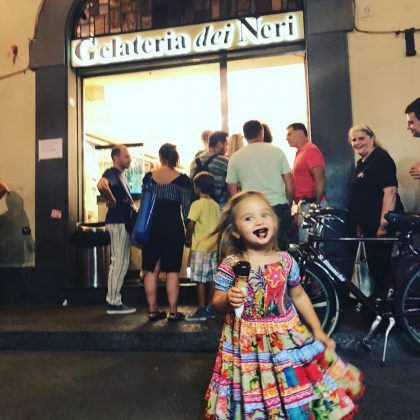 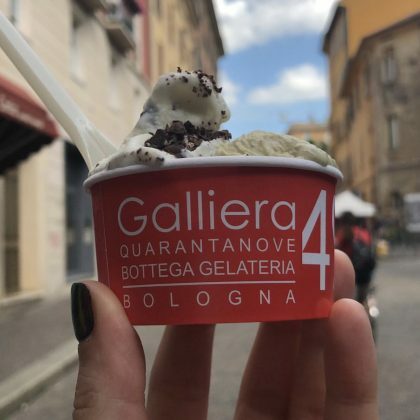 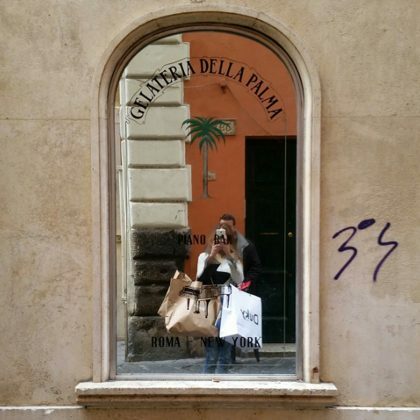 Katy Perry enjoyed gelato from Bologna, Italy’s Gelateria Galliera 49 in June 2018. 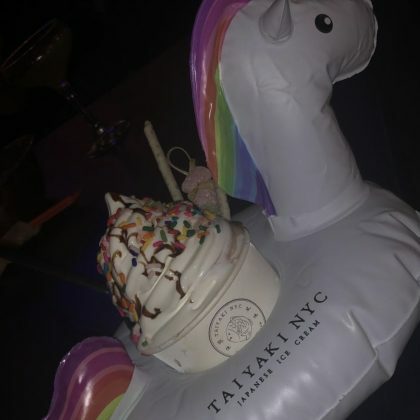 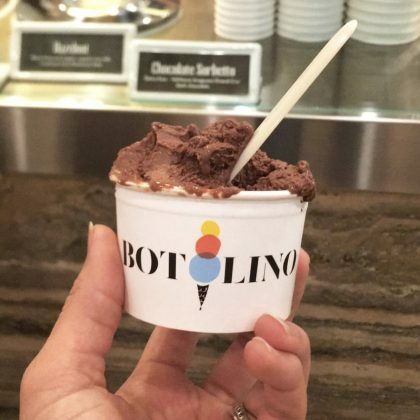 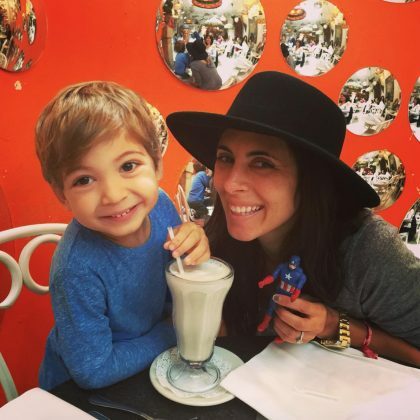 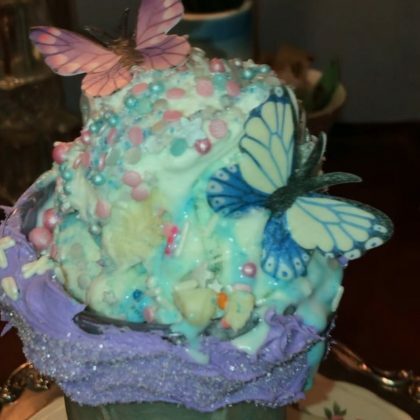 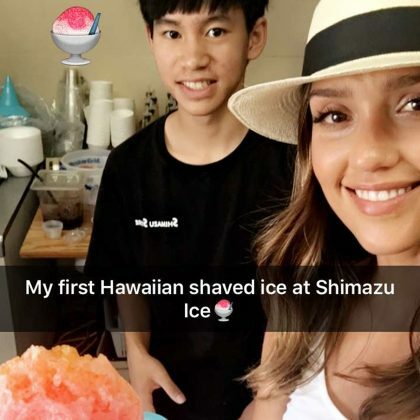 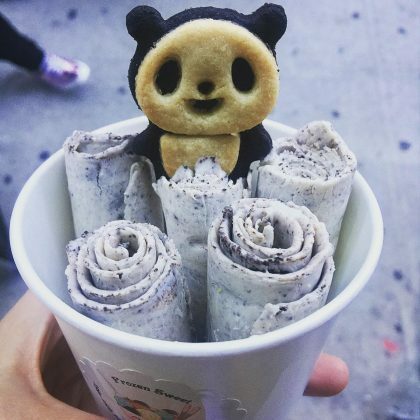 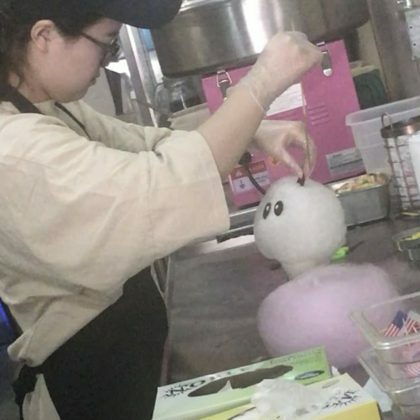 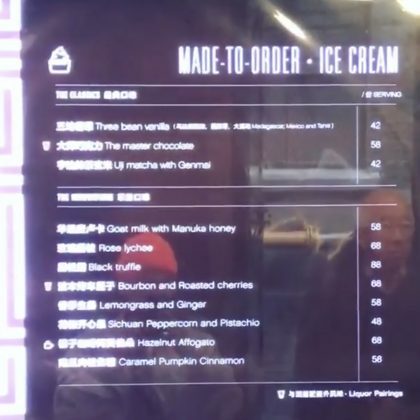 Bethenny Frankel had an ice cream sundae delivered to her via unicorn raft when she was at Taiyaki NYC in February 2018. 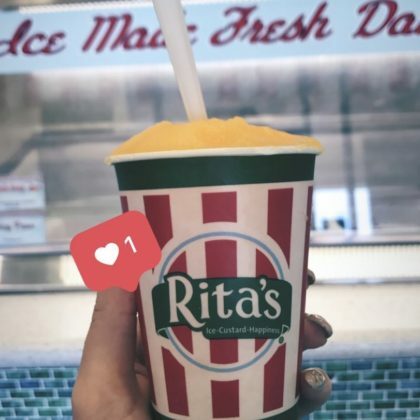 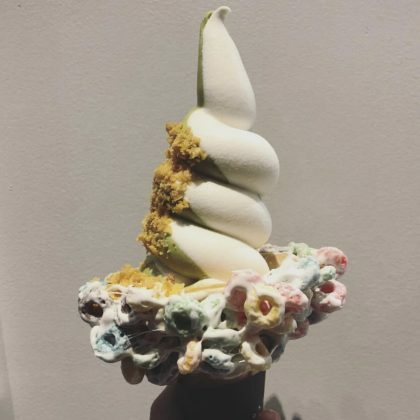 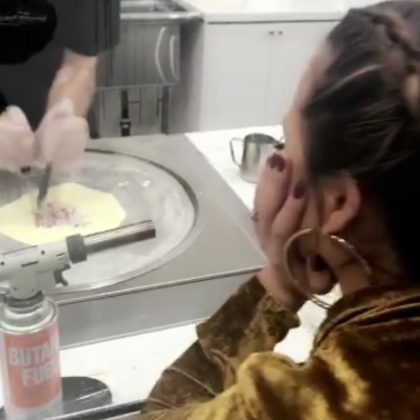 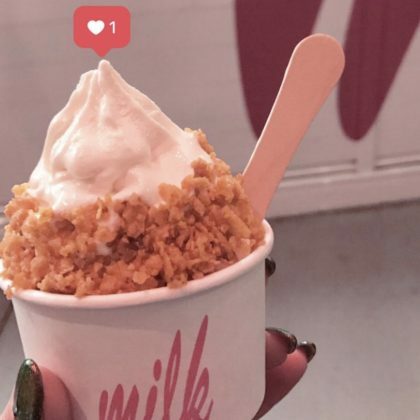 Billie Lourd liked the cereal milk soft serve she ordered at Milk Bar, Las Vegas in December 2017. 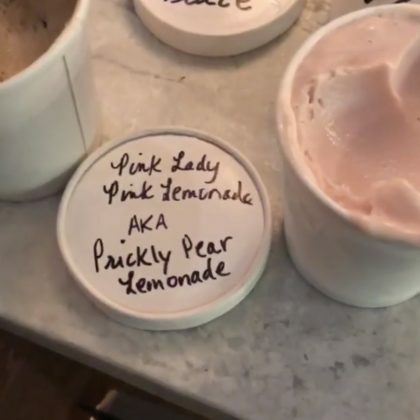 Nicky Hilton satisfied her “Pregnancy cravings” in November 2017 with a panda-shaped-cookie-topped treat from Frozen Sweet. 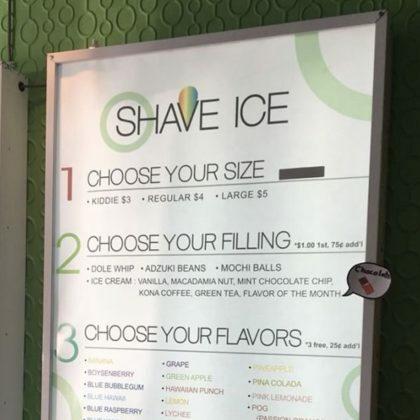 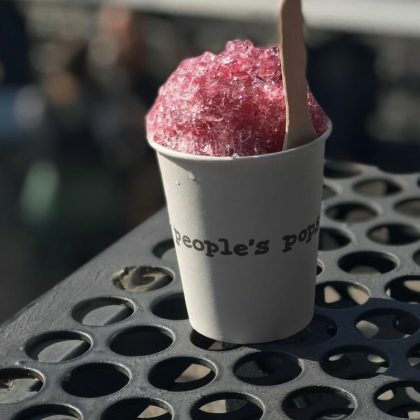 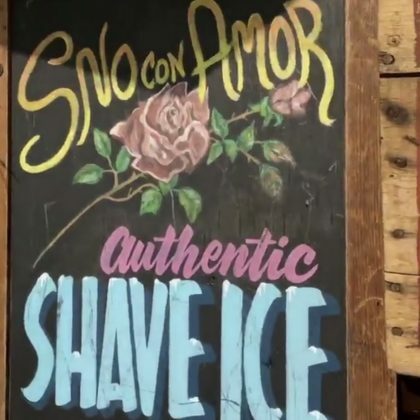 Holly Robinson Peete had some “Shave Ice,” while her daughter got a popsicle, from People’s Pops, High Line in October 2017. 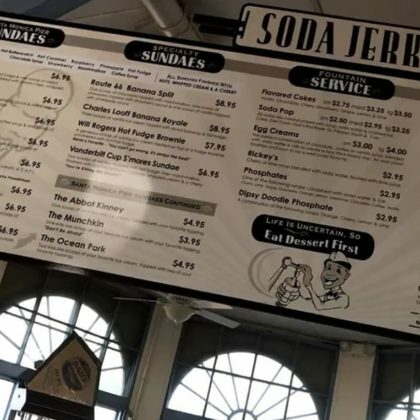 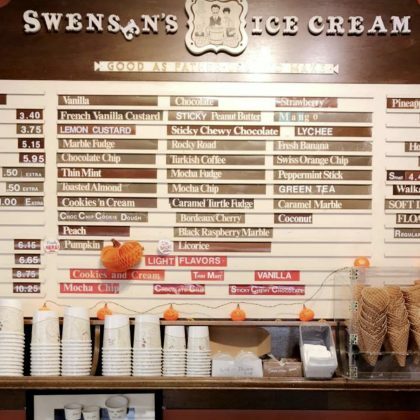 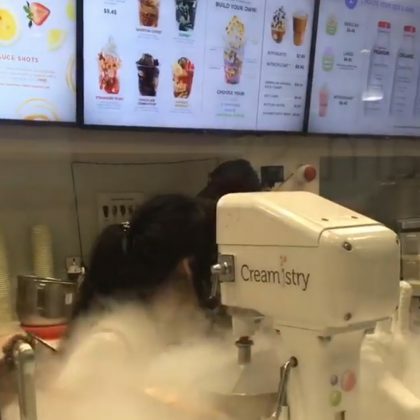 Kourtney Kardashian checked out the menu at Swensen’s Ice Cream, San Francisco when she was in San Francisco in October 2017. 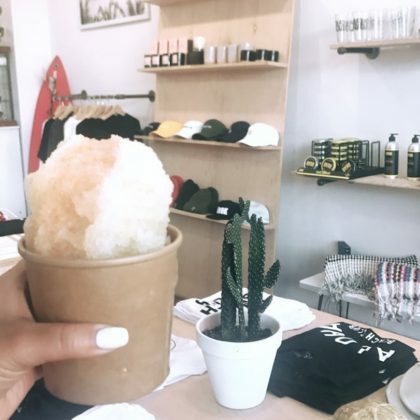 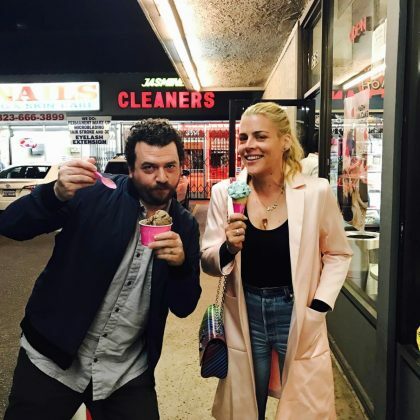 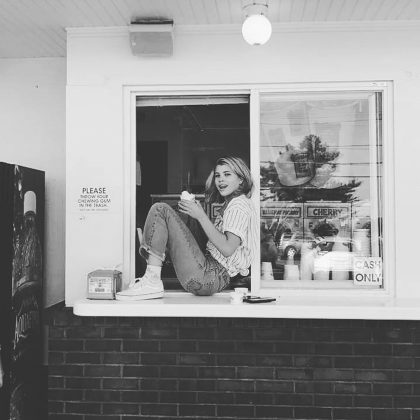 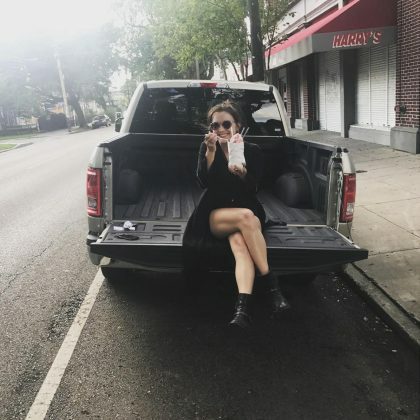 Billie Lourd was feeling “No(la)stalgic” in October 2017 while eating a sno ball from Imperial Woodpecker Sno Balls, 3511 Magazine Street. 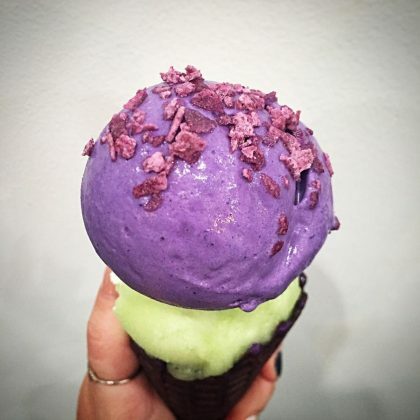 Have you ever had (unicorn poop) ice cream??? 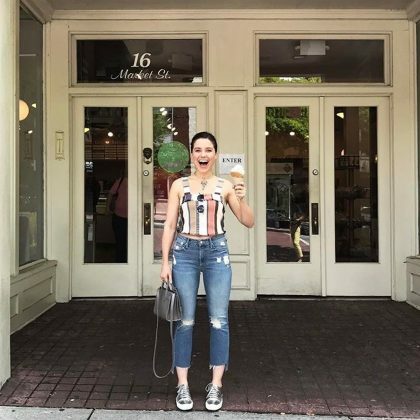 Well I did!!! 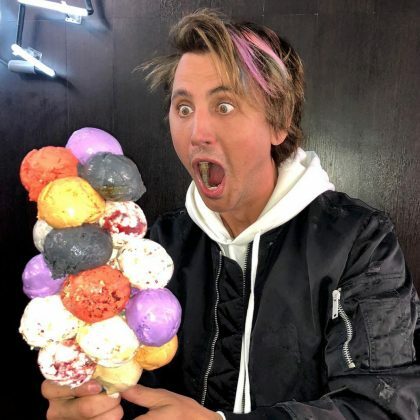 YES I SAID UNICORN POOP” is what Jonathan Cheban said when he treated himself to an over-the-top sundae at Cream Parlor in September 2017. 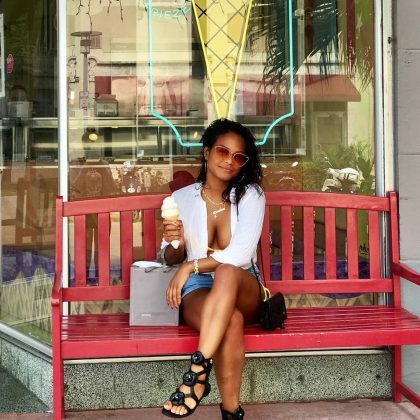 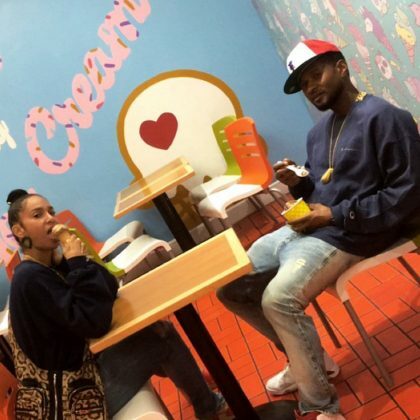 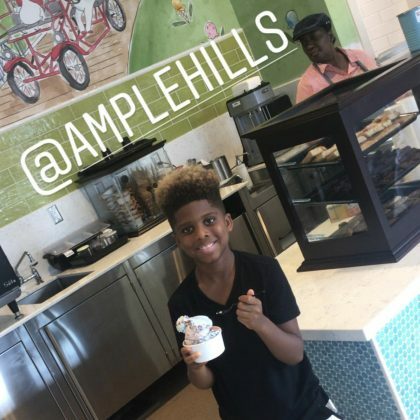 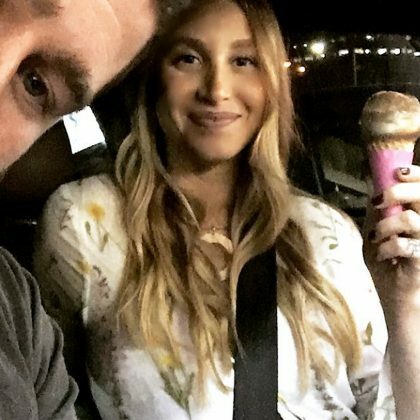 Usher and his wife topped off their September 2017 museum date night with a scoop of ice cream each from Cocobella Creamery. 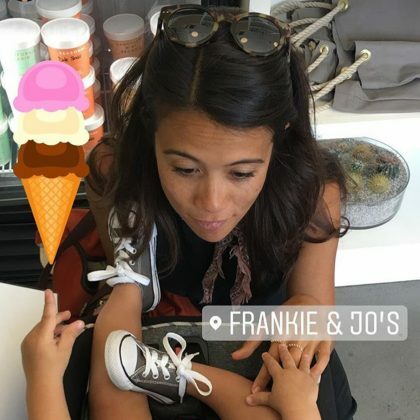 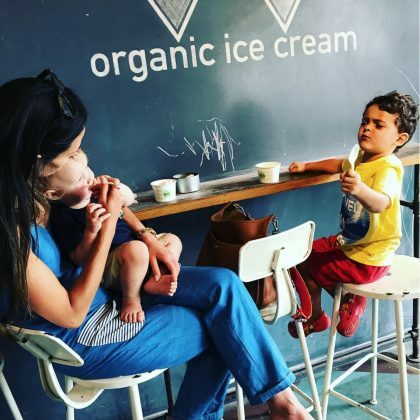 Jordana Brewster brought her boys to Rori’s Artisanal Creamery, West Hollywood for a treat in August 2017. 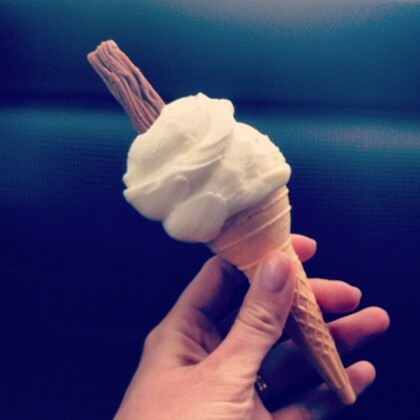 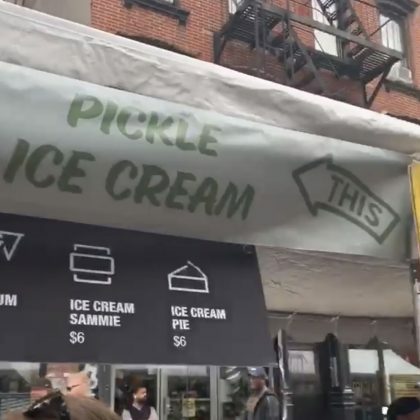 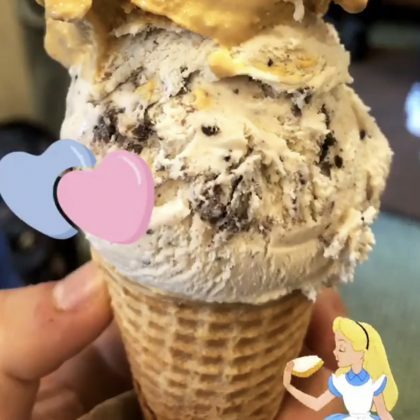 Heidi Klum had a waffle cone filled with vanilla soft serve from Big Gay Ice Cream Shop, West Village in June 2017. 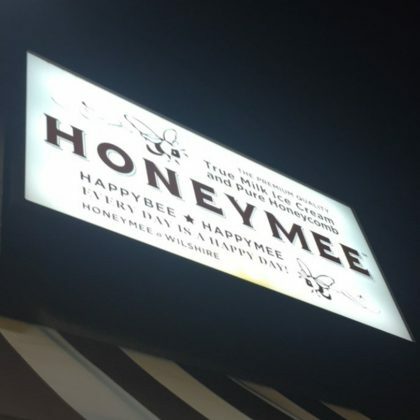 David Arquette came by Honeymee, Wilshire in June 2017. 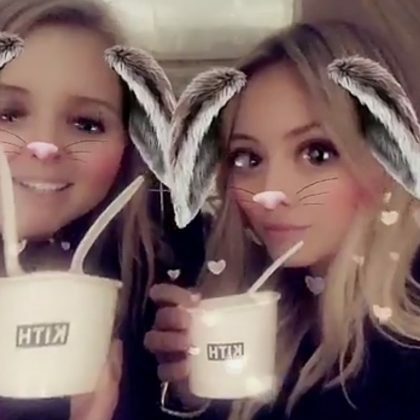 Hilary Duff enjoyed a cup of something sweet from one of the New York Kith Treats locations in March 2017. 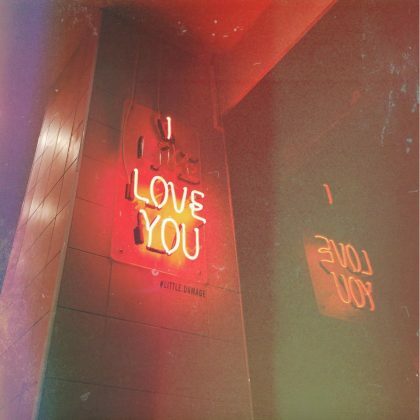 Ashley Tisdale﻿ photographed the “I, like, LOVE you” neon sign on the wall when she was at Little Damage in March 2017. 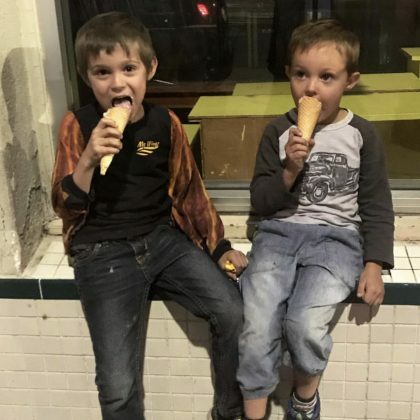 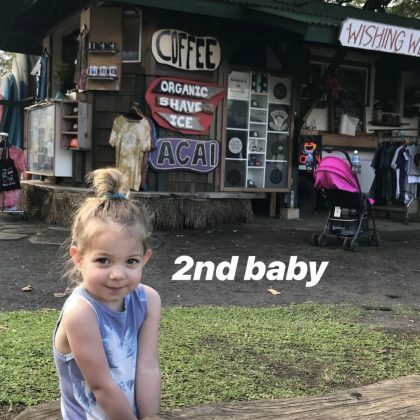 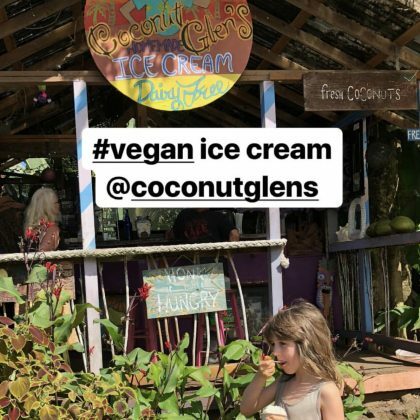 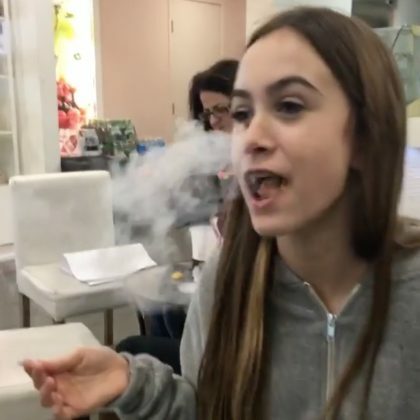 David Arquette﻿ took his kids to get some “Dragons Breath at Chocolate Chair” in January 2017. 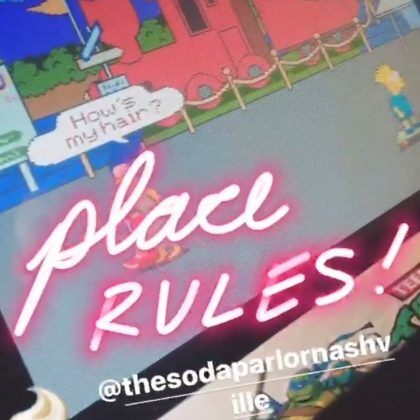 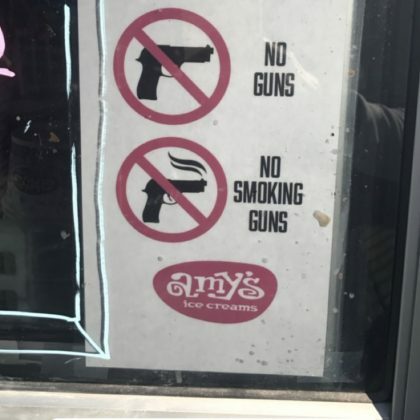 “This place RULES” is what Kacey Musgraves said when she played and arcade game at The Soda Parlor in January 2017. 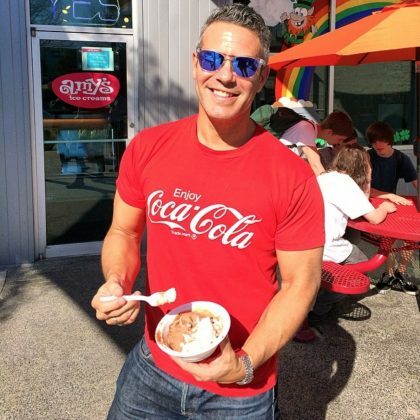 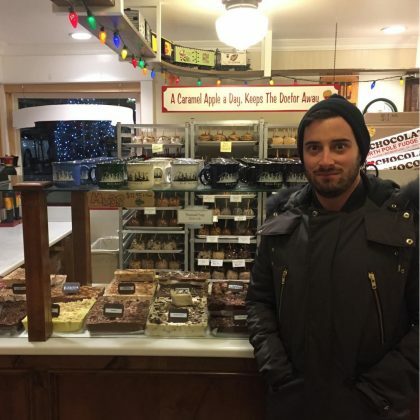 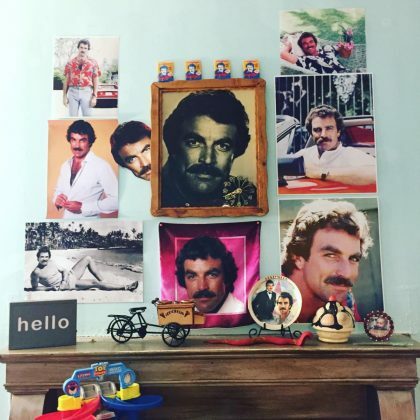 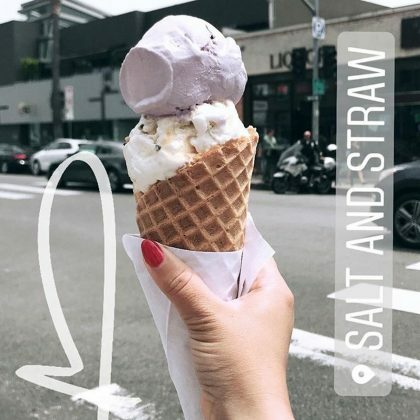 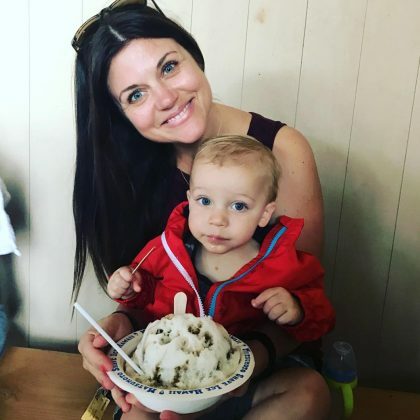 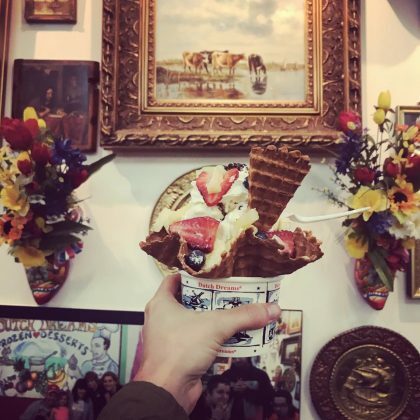 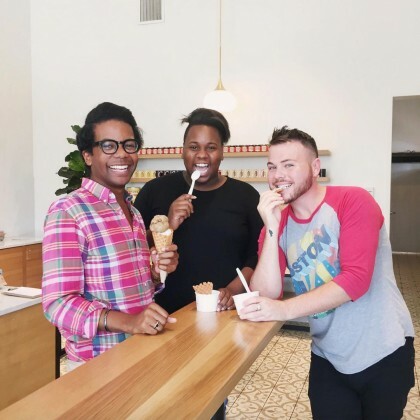 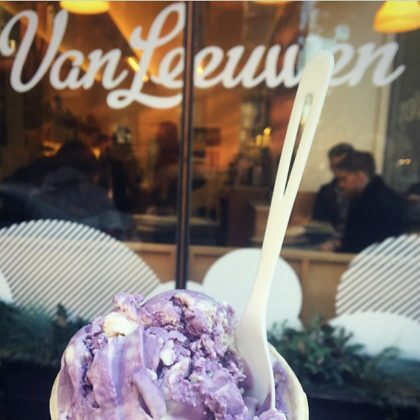 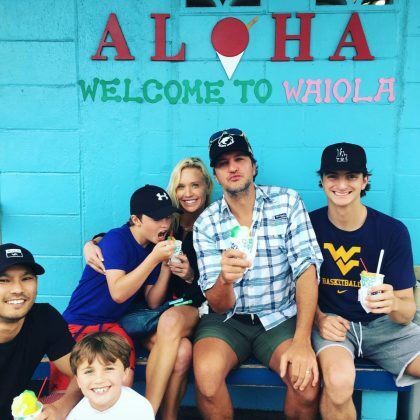 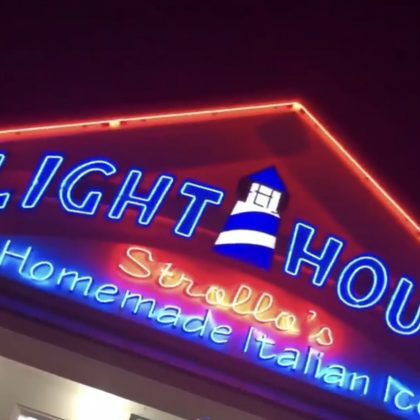 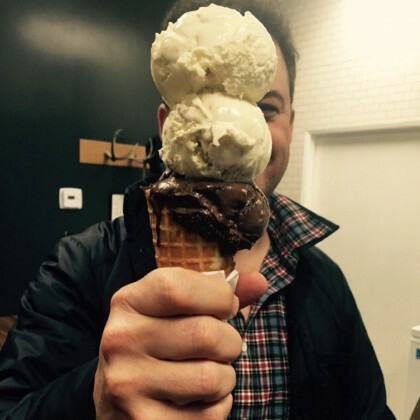 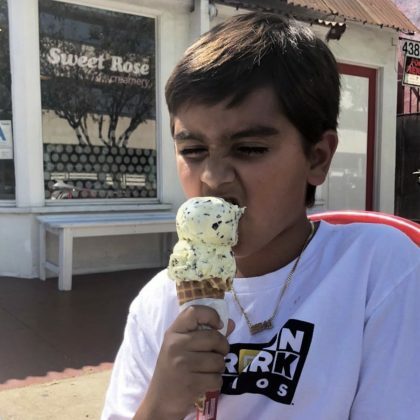 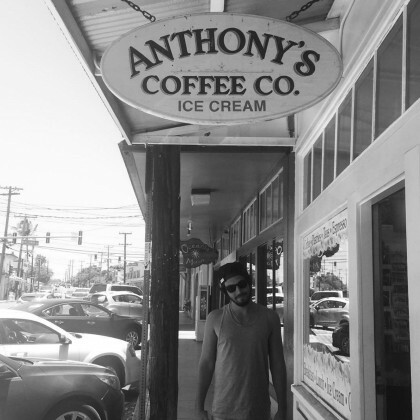 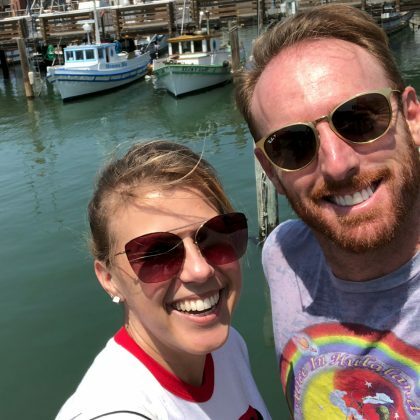 O-Town﻿’s ﻿Erik Estrada﻿ said, “I know I shouldn’t but . . .” when he went to Salt & Straw, Larchmont for a waffle cone on a “Cheat Day” in September 2016. 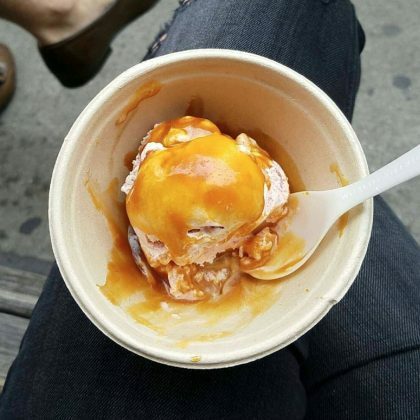 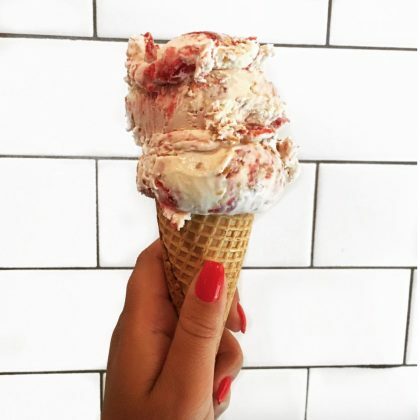 Jessica Chastain﻿ said “Yes please” to a cup of “#strawberry #caramel #vegan” ice cream from Van Leeuwen Artisan Ice Cream in June 2016. 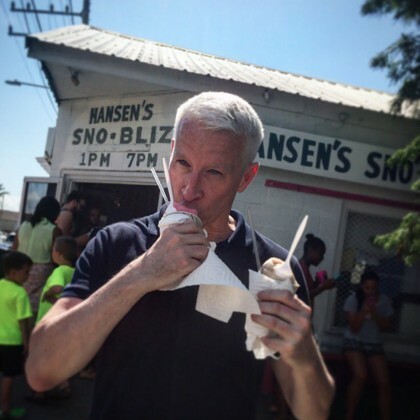 Anderson Cooper recommended in July 2015, “When in #NewOrleans you gotta get . 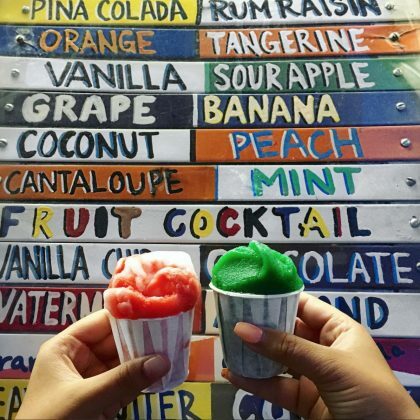 . . a sno-bliz or two” at Hansen’s Sno-Bliz. 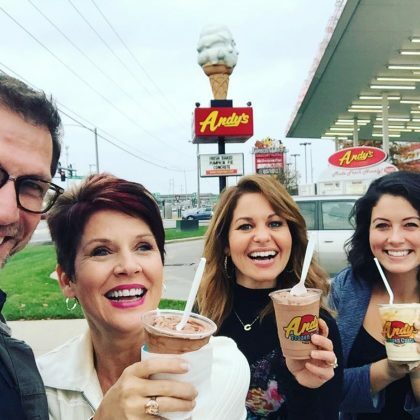 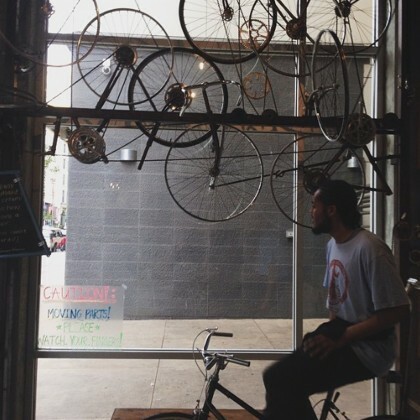 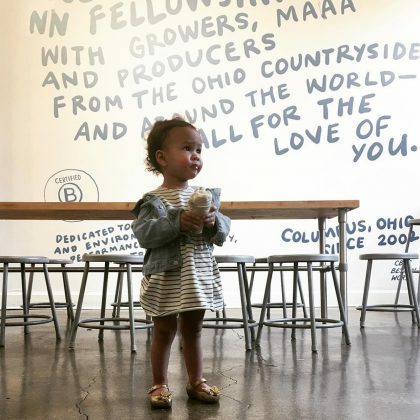 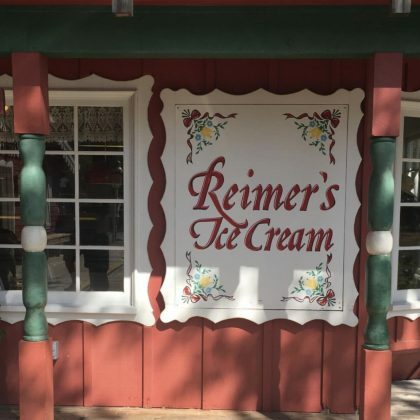 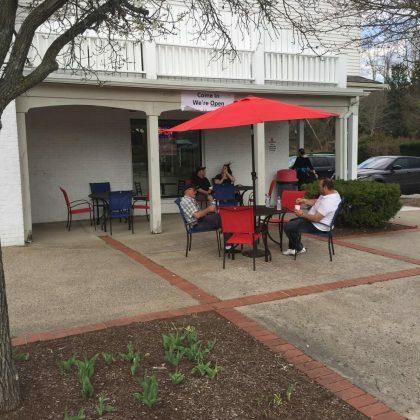 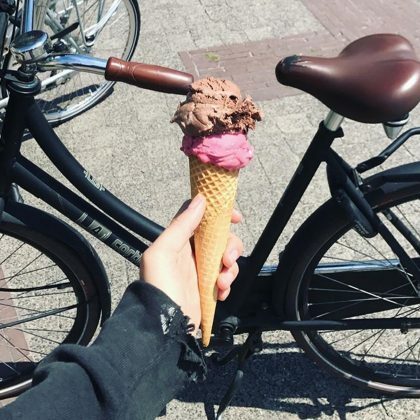 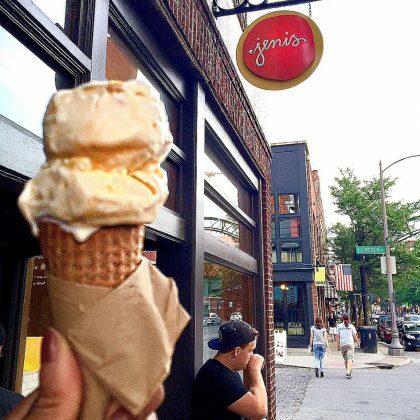 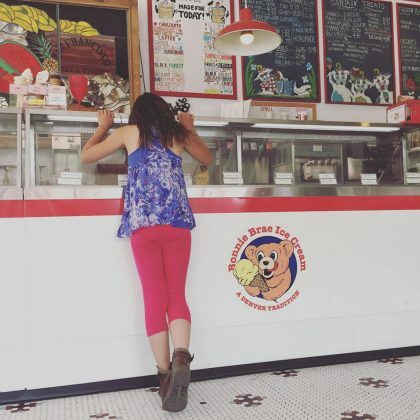 Julie Bowen shared a shot from inside Peddler’s Creamery, “where you can pedal to churn the ice cream,” in May 2015. 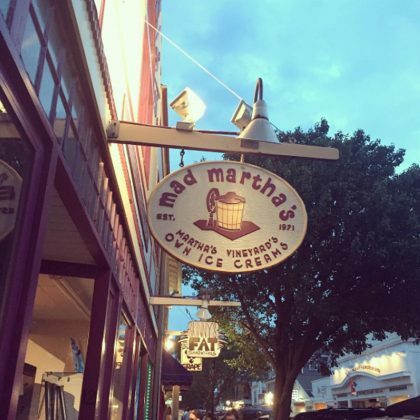 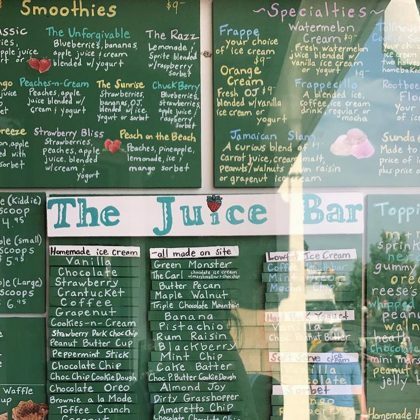 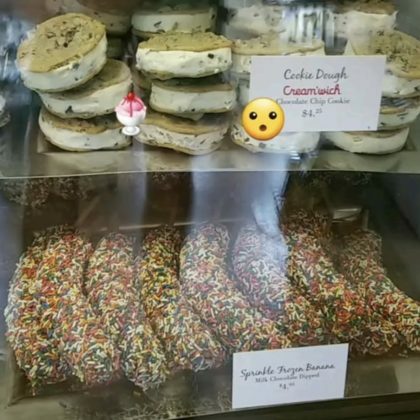 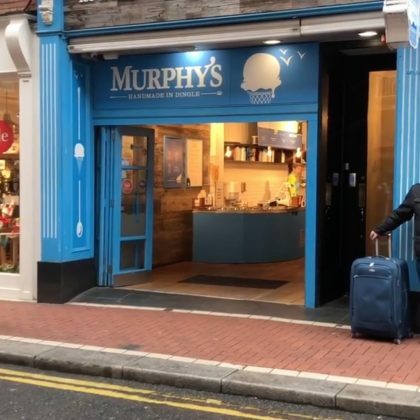 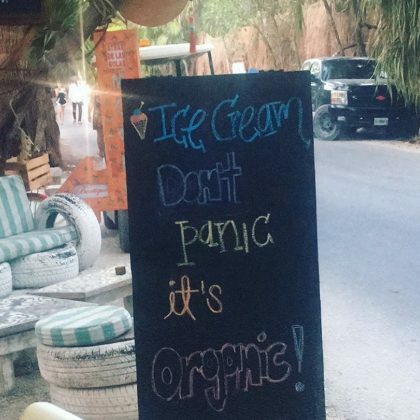 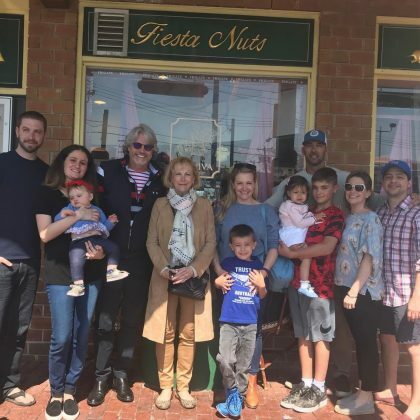 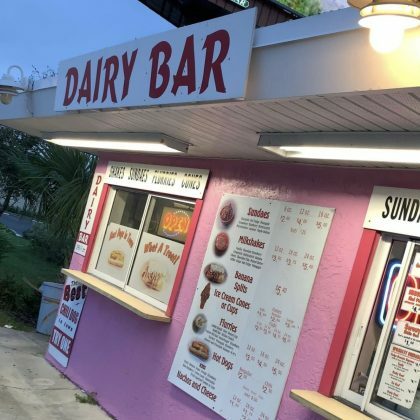 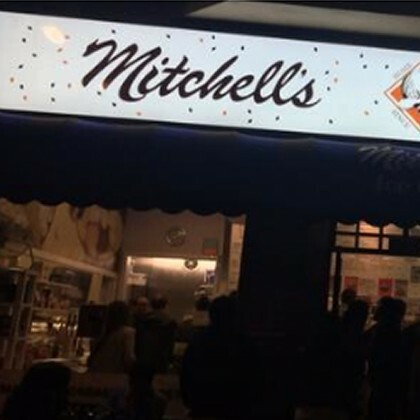 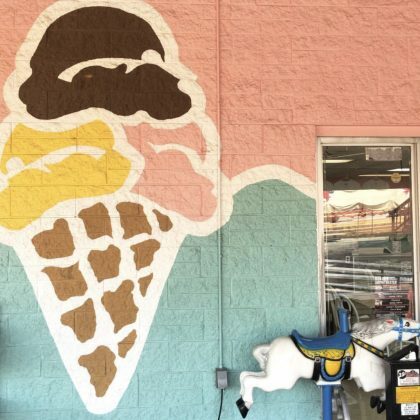 Martha Stewart wondered on Twitter in June 2014 if she should stop at Mitchell’s for ice cream while in town — those in the know responded with a resounding YES! 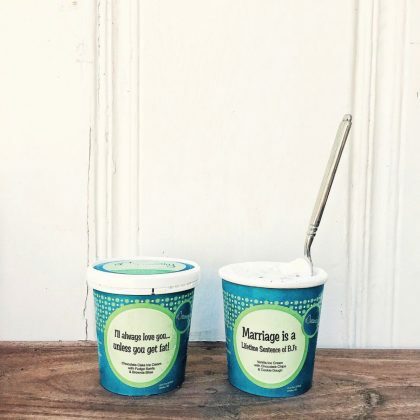 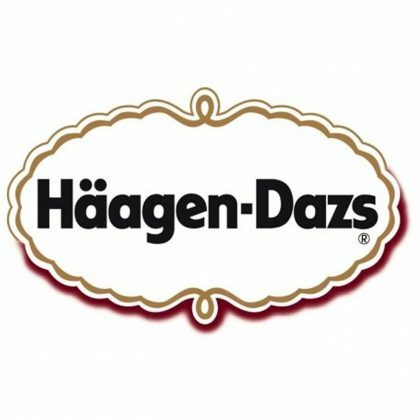 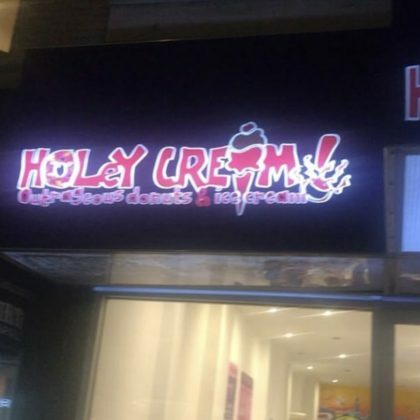 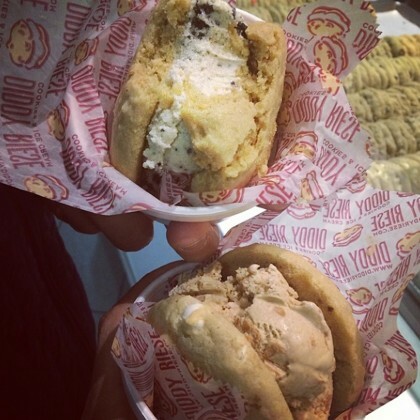 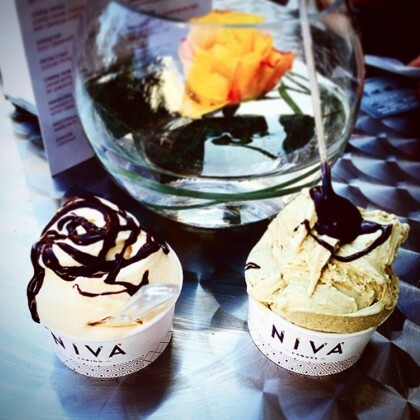 A few days before their May 2014, bride and groom-to-be Kim Kardashian and Kanye West treated their tastebuds to scoops of macadamia nut brittle ice cream on top of waffle cones at the Rue Saint-Honoré location in Paris. 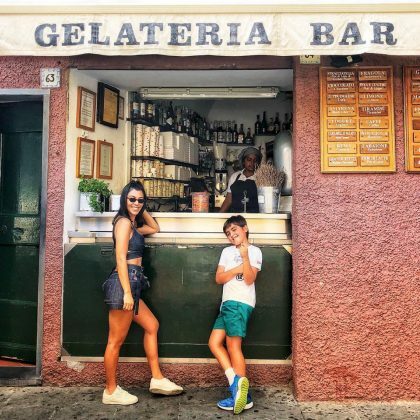 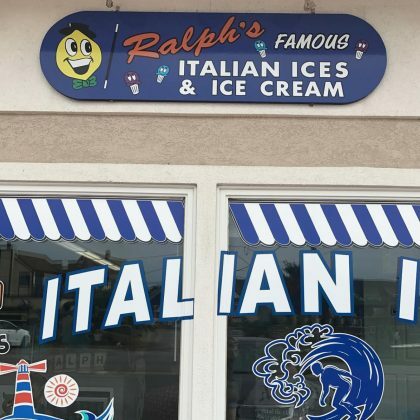 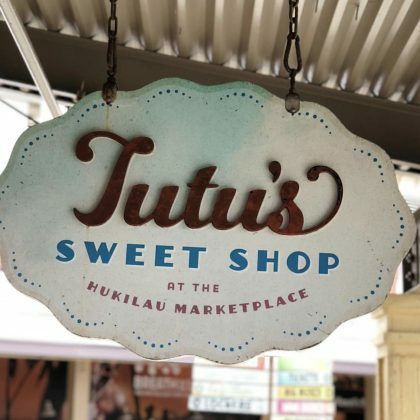 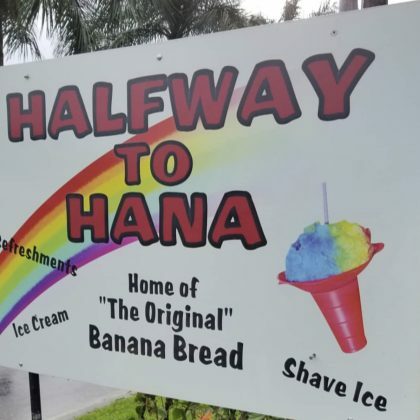 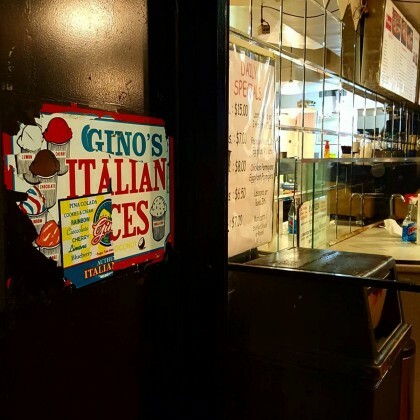 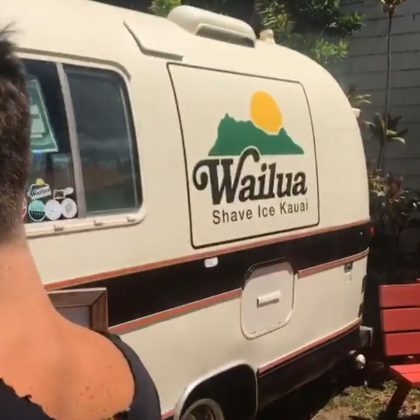 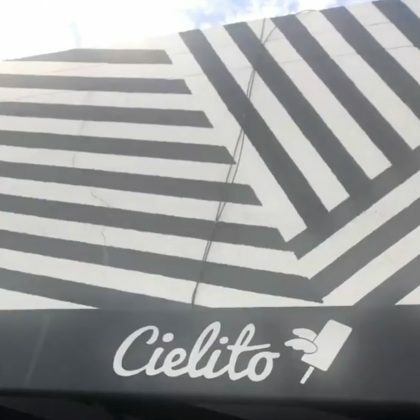 Bill Rancic surprised Giuliana Rancic with this popular spot’s legendary (and affordable!) 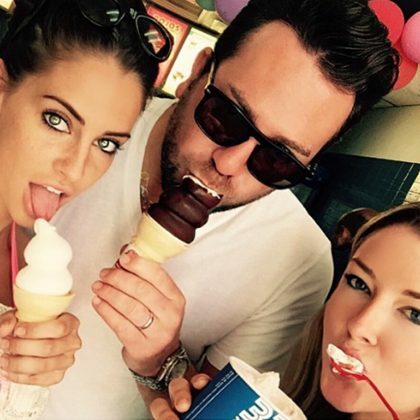 ice cream sandwiches to celebrate her contract renewal with E! 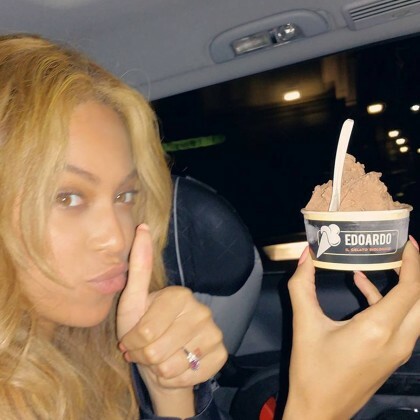 in May 2014.